81 x 48 x 30cm (H x W x D) The Aria range of products has been designed with more than a nod towards the success of the Opera range. Mirrored drawer fronts are covered with a fretwork of wood, and the grain of the wood is brought out to perfection by light liming. Alter Unbekannt. Besonderheiten Fertig montiert. Handmade from solid Acacia wood in northern Thailand, this cabinet is a real feast for the eyes. But in this case is probably: pictures say more than a thousand words. 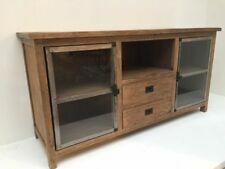 Acacia solid wood cabinet CHANG. 67 x 48 x 30cm (H x W x D) The Aria range of products has been designed with more than a nod towards the success of the Opera range. Mirrored drawer fronts are covered with a fretwork of wood, and the grain of the wood is brought out to perfection by light liming. Canvas 6 Chest of Drawer Bedroom Furniture Storage Cabinet Unit Moroccan New. Available designs: Moroccan. Add a piece of unique style and storage to your bedroom with this 6 drawer unit from Spaceways. Spaceways 6 Drawer Canvas Unit. Easy Assembly. - and all other islands off the mainland. Water Hyacinth. To prevent the sight of the dirty laundry, laundry basket can be with a hinged lid seal can be. Make the first grader in the bathroom, the laundry room or the bedrooms and all rooms, where laundry should not carelessly lying around. Type chevet. Old bedside lacquered cream. Robust Dresser beige / white with five drawer and handles as a rose. So a natural grain is modeled after. Weight: 10 kg. Height: 94 cm. Chest of drawers high Aurora 5 drawers. Material: Wood / MDF. Color: white / beige. Hand painted and hand finished Taupe/Grey colour. Made from wood, fully assembled the 4 drawer chest is beautiful and practical. Small black brass handles to each drawer. Suitable for bedroom storage. Basematerial/ Drawer sides/ Drawer back: Solid pine. - If you oil, wax, lacquer or stain the untreated solid wood surface it will be more durable and easy to care for. Made of solid wood, which is a hardwearing and warm natural material. Dresser rose white beige high Baroque country house wooden bedside table drawers Aurora. Chest of drawers Aurora 6 drawers high. Robust, high chest of drawers in white and beige six drawers and decoration - rose handle. Night table rose white beige grain Baroque country house wooden bedside table drawer. Bedside table wide Aurora drawer door beige. Robust bedside table beige / white with one drawer, door and handles as a rose. Canvas 6 Chest of Drawer Bedroom Furniture Storage Cabinet Unit Chevron New. Add a piece of unique style and storage to your bedroom with this 6 drawer unit from Spaceways. Available designs: Chevron. Spaceways 6 Drawer Canvas Unit. Easy Assembly. - and all other islands off the mainland. 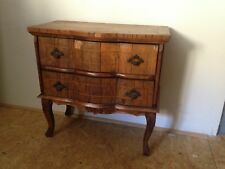 Beautiful mango wood chest of drawers sideboard Björn. Size: W x D x H 100cm x 40cm x 85cm. Produktart Sideboard. The Dresser has 4 drawers. Each chest of drawers is handmade and therefore unique. Beautiful 2-door country house solid wood bedroom or planks Dresser from pine waxed R138. The chest of drawers has 2 drawers, 2 doors with 2 shelves (lockable). Farbe Natur. Stil Landhaus. Marke Handarbeit. Beautiful mango wood chest of drawers sideboard Björn. 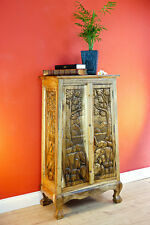 Produktart Sideboard. The chest of drawers has 2 drawers & 2 doors with shelf. Each chest of drawers is handmade and therefore unique. Size: W x D x H 100cm x 35cm x 85cm. Beautiful teak wood sideboard Highboard 2-door. The chest of drawers has 2 drawers and 2 doors with shelf (lockable). Material Teak. Each chest of drawers is handmade and therefore unique. Our own text and images may not be used without our permission. Beautiful XXL farmhouse solid wood bedroom or planks Dresser from pine waxed R138. Traditionally, original, very comfortable, massive. Top processing quality, solid wood also the back wall. The chest of drawers has 3 drawers, 3 door (lockable) with 3 adjustable shelf. Who knows Voglauer, appreciate this quality. Marke Voglauer. It is in this chest of drawers a very exquisite piece of the highest quality. SERIES ANNO 1900. You no longer need to deal with the further search. Produktart Sideboard. Slightly wavy, the teak wood can be (natural product). Material Teak. Each chest of drawers is handmade and therefore unique. Size: W x D x H 155cm x 50cm x 86cm. Höhe 86 cm. Marke Couchcenter. 2 DRAWERS 27CM WIDE X 7CM HIGH X 6CM DEEP. CULT CLASSIC. This creates order in every household. Drawer unit, 6 drawers. Birch wood with natural finish. With 6 drawers. Also available in the sizes 28 x 20 x 28 cm. Practical unit. The Selby bedroom furniture range is our budget range of cheap and modern furniture. This chest of 4 drawers is finished in a popular light beech veneer, with matching drawer runners and silver coloured handles. The wax lifts the grain of the wood creating a distressed rustic look. Product Material: Distressed Waxed Pine. 4 Drawer Chest: H 73 x W 80 x D 41 Cm Approx. 5 Drawer Chest: H 90 x W 80 x D 41 Cm Approx. Swedish Dresser night chest of drawers Gustavianischer Cabinet sideboard Shabby Chic. Swedish Dresser night chest of drawers Gustavianisch Cabinet sideboard Shabby Chic. Material: Wood with visible individual hand painting, artful ormolu. The simplicity of the wood is the live motive of a natural collection. Colour: Shabby White. Also for any kind of problem we can assist you with this. Drawer Size (4): H 15,5 cm x W 32,5 cm x D 25 cm. Can be used as advent calendar. The choice is yours; the only limit is your imagination. Box Contains. 1 x Wooden Chest with 25 Drawers, Beige. Bed Mattresse -Divan Footboard. This chest is crafted from sustainable paulownia wood, and uses crisp white and warm gold hues to give it a breezy coastal aesthetic. Its cabinet is raised by slim legs, and divided into three sections that each houses a large box drawer. Bed Mattresse -Divan Footboard. Garden & Patio Furniture. Garden & Patio. Candles & Tea Lights. Wall Hangings. Chests of Drawers. Cabinets & Cupboards. wall lights. Garden & Patio. Material : Wood. Cookware, Dining & Bar. Garden & Patio Furniture. Garden Lighting. Country of Manufacture : China. Chests of Drawers. Cabinets & Cupboards. Bed Mattresse -Divan Footboard. This chest is crafted from sustainable paulownia wood, and uses crisp white and warm gold hues to give it a breezy coastal aesthetic. Its cabinet is raised by slim legs, and divided into four sections that each houses a large box drawer. Bed Mattresse -Divan Footboard. This chest is crafted from sustainable paulownia wood, and uses crisp white and warm gold hues to give it a breezy coastal aesthetic. Its cabinet is raised by slim legs, and divided into two sections that each houses a large box drawer. Upper part with retractable lateral pencil box opening to a flap, and a drawer. Solid mahogany cardboard forming 19th century desk. I notice traces of wear and other small usual tasks on the surface of the beige morocco. Secretary laptop table JAKARTA Sheesham hardwood 100 cm. Material: Solid wood Sheesham, waxed. The clean lines bring out the natural structure of the wood very well. versatile - as a desk, laptop table or as a console.